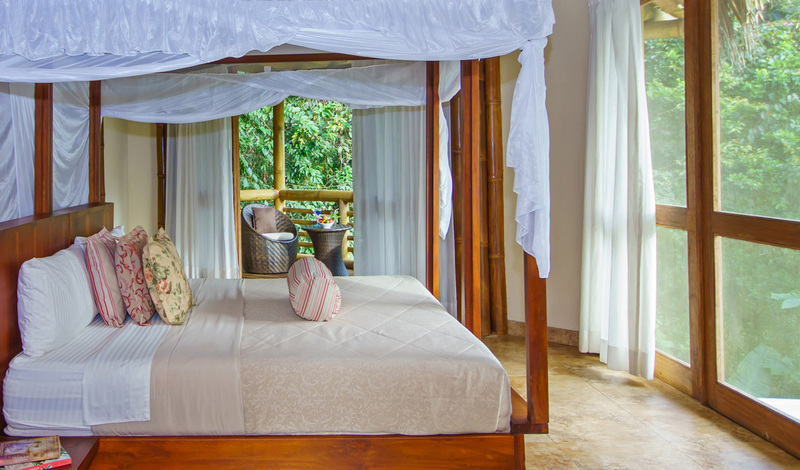 The 19 luxurious suites at La Selva have been constructed using sustainable bamboo and are inspired by the homes of local, indigenous Amazon communities. They have an airy layout, ideal for the humid rainforest. If you’re traveling with little ones, the Family Suites include spacious bathrooms, hammocks and a hot tub on a private porch. For breath-taking panoramic views over the lake, we couldn’t resist a stay in one of the Scenic Suites. 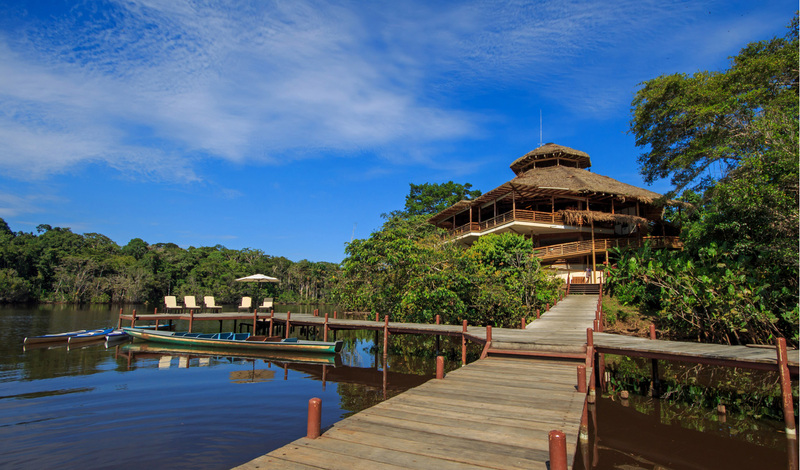 We cannot think of a better setting for a massage than outside, on the middle of a lake in the Amazon. It’s about as spectacular as it gets. That is until you ascend La Selva’s 38 meter high Observation Tower to discover spectacular views of the rainforest canopy. From star-gazing to exciting night excursions and Parrot Clay Licks, La Selva knows how to showcase the best that the Amazon has to offer. For a real once-in-a-lifetime experience, you can even adopt an endangered Charapa turtle which the lodge then lets you set free when it hatches. This is how we do jungle adventure.